People’s World offices will be closed Monday, October 9 in honor of Indigenous Peoples Day. We will not publish an on line issue on Oct. 9 and will resume publication as usual on Oct. 10. 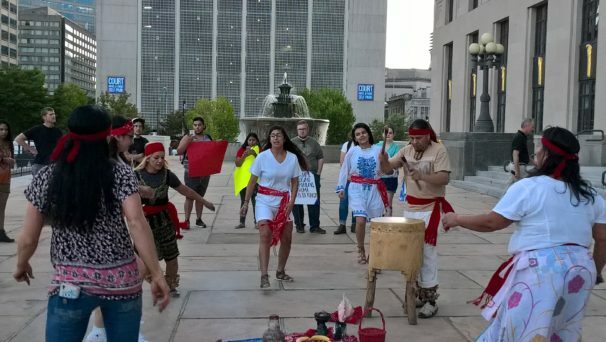 NASHVILLE—On Thursday, Oct. 5, Nashville, the capital city of Tennessee, took the momentous step of recognizing the second Monday in October as Indigenous Peoples’ Day. The decision by city council follows an Oct. 1 proclamation signed by Mayor Megan Barry declaring the same. The mayor’s far-reaching proclamation states that “the City of Nashville has a responsibility to oppose the systematic racism towards Indigenous people in the United States, which perpetuates high rates of poverty and income inequality, exacerbating disproportionate health, education, and social crises.” It further reads, in part, that the “actions and policies of European colonizers of the Americas destroyed” much of the cultures and the Indigenous peoples of the Americas. The Metro Council resolution was sponsored by Councilman Brett Withers and co-sponsored by Council members Fabian Bedne, Nancy VanReece, Mina Johnson, and Scott Davis. The measure passed 26-5, with seven abstentions. 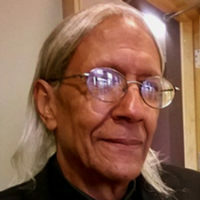 The initial movement for the local recognition of Indigenous Peoples’ Day was started by a student activist, Justin Jones, of Fisk University in Nashville. Jones contacted certain members of Metro Council who took the first steps. He began efforts on the initiative over a year ago. Two weeks before the vote, several dozen protesters gathered outside of the Metro Courthouse on Sept. 19, for the biweekly meeting of the Nashville City Council. The purpose was to have a “dress rehearsal” of the demonstration that was being planned for the Oct. 3 council meeting. 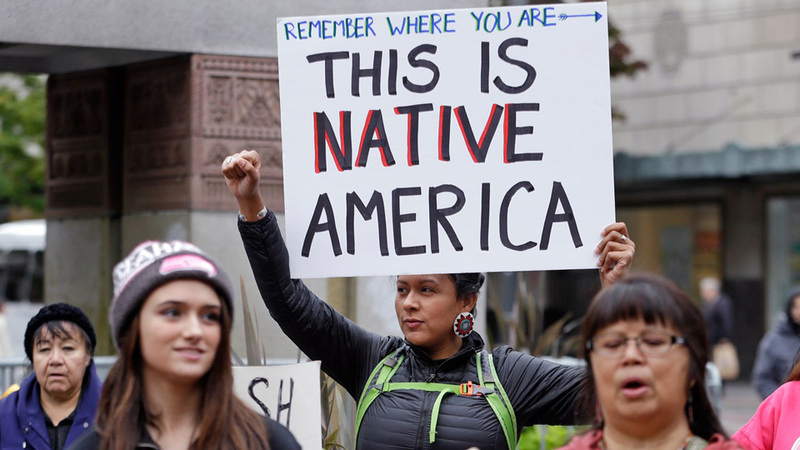 Demonstrators called for a change of Columbus Day to Indigenous Peoples’ Day. When the council voted on October 3, there were in fact more protesters present than at the prior demonstration two weeks earlier. In fact, it was one of the largest ever protests, on Native issues, for the city. The demonstration started with a traditional Native American prayer by Lou White Eagle, a Cheyenne spiritual leader. 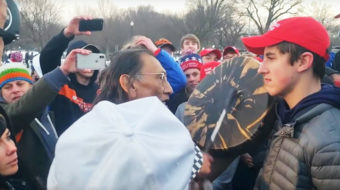 With the passing of the Indigenous Peoples’ Day Resolution, this was a de facto recognition and honoring of Native people over the sullied memory of Christopher Columbus, seen as a purveyor of genocide and slavery. 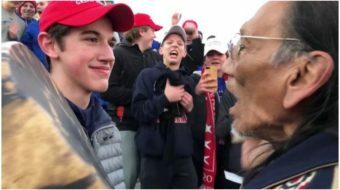 This was in fact a pointed refusal to recognize Columbus Day and constituted a historic victory for Indigenous people. Nashville is the first large city in the South and the first state capital in the South to recognize Indigenous Peoples’ Day. It joins the rapidly growing ranks of over 26 other cities across the nation, including Berkeley, Denver, Albuquerque, Santa Fe, Phoenix, Seattle, Los Angeles, Minneapolis, and Bangor, Maine, to name a few. A celebration is planned by the local Native community on Oct. 9 to properly observe this first Indigenous Peoples’ Day in Nashville. All of the city will be invited to attend. This is a history-making step forward for the city of Nashville. Moreover, it is a triumph for all the people of Nashville in that citizens of all races and backgrounds were involved in the demonstrations for recognition of this historic recognition.